I decided to forgo the chance to see if the Mets could put an end to Zack Greinke‘s scoreless innings streak yesterday (they did) so I could catch the last game of the Binghamton Mets’ only visit to Trenton this season. 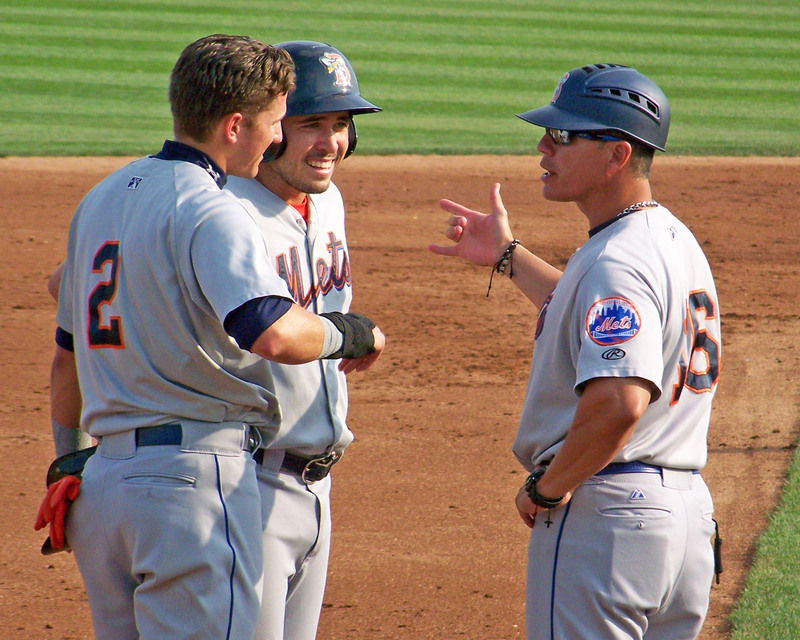 The Binghamton Mets did not disappoint, defeating the Baby Bombers 8-0. 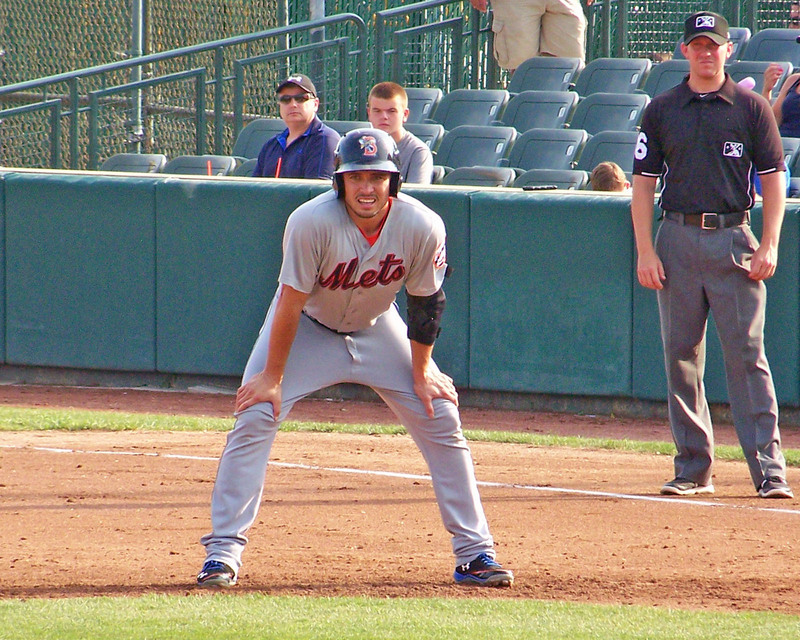 I even got to see one real Mets player – catcher Travis d’Arnaud, who was playing the second game of a rehab assignment. He was super nice, signing autographs for almost 10 minutes inside the ballpark before the game. After the game, it seemed like at least 100 people were waiting to catch him before he got on the team bus back to Binghamton… and he signed autographs and posed for selfies with everyone who asked. 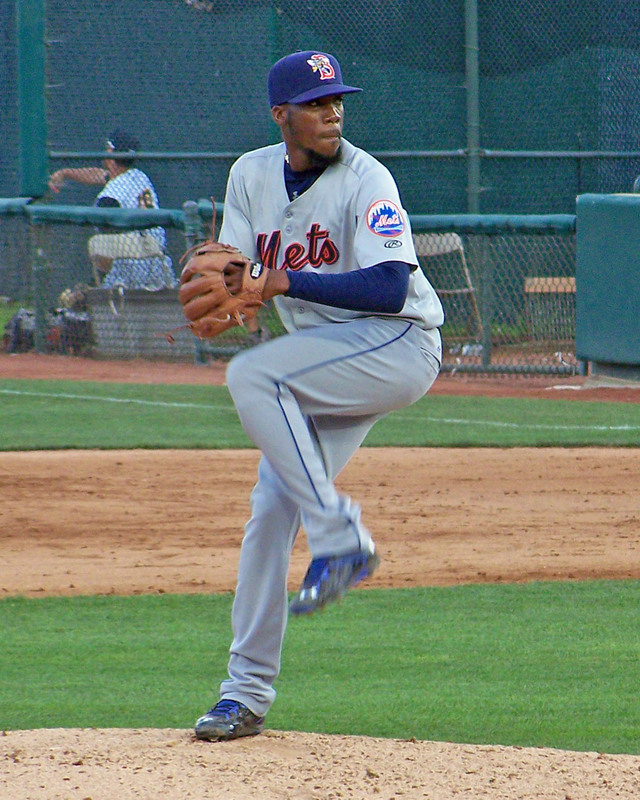 #Mets catcher Travis d'Arnaud, on a minor league rehab assignment, and pitcher Akeel Morris who appeared in one game for the big league Mets earlier this season, were the highlights of the 34 baseball cards I got signed at last night's game between the Binghamton Mets and Trenton Thunder in Trenton. The B-Mets won 8-0. I was also able to get Akeel Morris‘ autograph for my All-Time Mets Roster autograph collection. Of the 1,002 Mets players, I now have autographs from at least 911 of them. I was really impressed with the patience of the Binghamton Mets – despite the large crowd, I didn’t see a single player turn down a single fan after the game. And some, like outfield prospect Brandon Nimmo, had nearly as many autographs to sign as d’Arnaud did. Inside the park, the fans might have been disappointed by Nimmo, L.J. Mazzilli or Gavin Cecchini, who came out close enough to game time that they did not have a chance to sign autographs for fans before the game. However, others like pitchers Michael Fullmer and Matt Koch made multiple trips down the line just to sign autographs. d’Arnaud told us that he feels great and just has to work up to catching a full nine innings (he caught five on Saturday night in the first game of his rehab assignment and was the DH yesterday.) I think he’s even more eager to come off the DL than we are to get him back. Great photos! Looks like a good day at the park. Nice pics! Sounds like a great experience. I had hoped to get to Sunday’s game, but couldn’t make it work. One note, though: I believe the bat dog now is Derby, Chase’s son.